A high pace from the outset in this one, with not much in the way of whistles and the Dogs having an early advantage in pucks on net but neither side conceding any glaring scoring chances. The Grizzlies would take a 1-0 lead just short of the midway point of the period against the flow of play as a Bulldog defender gloved the puck down at the attacking line but got double teamed by Jamie Rome and Lucas Clark to create a 2 on 1 rush. The back-check would arrive half a second too late, as Lucas Clark one-touch backhanded the Rome centering pass from the right side in off a Bulldog defender and the far-post past the glove of Schamerhorn at 9:15 of the first. The Dogs would push back and have a fantastic chance on a three-way passing play on the rush a minute later, but Tony Rehm kept an in tight chance out from the seat of his pants. Pace remained high until the late moments of the period, with the Dogs pressing hard to tie the game. After a series of misses in the slot by both Spencer Hunter and Kyle Kaufmann, Stratton Pickett dug it loose back of the net. Spencer Hunter would find it, and put a perfect pass onto the tape of Kyle Kaufmann in the hashmarks. He would make no mistake on the opportunity, picking the top corner, far-side over the glove of Rehm to make it 1-1 at 17:59 of the first. Shots in the period favoured the Bulldogs 11-9. The second period resembled the first with a breakneck pace through the early stages of it. An injured defenseman and a tired forward group resulted in a bad change and a stretch pass resulted in a breakaway for Cameron Thompson that he rang off the crossbar as it stayed tied. The game was played evenly through the midway point of regulation, with each team having their chances around the net and the shots tied at 16 aside. 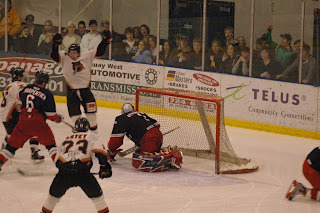 It stayed 1-1 until the late stages of the period, with the Grizzlies taking their second lead of the game when Nathan Looysen stole the puck off a Bulldog defender just three feet in front of the Bulldogs net where he scored on a slick backhand deke past Schamerhorn inside the near post to make it 2-1, unassisted at 17:44 of the second. The Bulldogs were penalized immediately afterwards, on somewhat of a frustrating call as they couldn't buy a power play opportunity throughout the period, an in fact didn't earn a man advantage through the first 40 minutes. Shots in the period favoured the Grizzlies 15-10 for a two period total of 24-21. The third period started with the Dogs having two great chances around the Grizzlies net that failed to find it. The Grizzlies would then take a two-goal lead as the Dogs walked into trouble in their own end when they had control of the puck and coughed it up. It ended up in their net soon afterwards as Cody Van Lierop pulled it around a Bulldog forward at the left point and threw a low shot on net that was stopped by Schamerhorn. The rebound would be found by Shawn O'Malley, who lifted it home glove side to make it 3-1 at 3:32 of the third with Tyler Welsh also drawing an assist. The Dogs would answer almost immediately, as they earned their first power play of the game when Jordan Sandhu had his stick slashed out of his hands. It took seconds for them to capitalize on it, as Alex MacDonald sent a cross-ice pass to the left side for Jordan Sandhu. He put a perfect pass at the top of the point on a tee for Trevor Cosgrove, who blew a one-time low, glove side and off the post and in on Tony Rehm. I never saw the puck cross the line, but the Referee at the side of the net immediately signaled goal. A conference between all the Officials would ensue, as it would appear those further from the net would be asked their opinion on it. The initial call would stand, as it was a 3-2 game at 3:54 of the third. The Dogs went to another power play less than a minute later, and had a couple glorious chances but couldn't cash in to tie the game. Minutes later, the Dogs would be penalized when Tyler Welsh appeared to take a dive on Keith Anderson at centre ice. The Dogs would have a great chance to tie the game on a shorthanded breakaway for Jake Witkowski, but Tony Rehm came up with a big stop to preserve the lead. A soft even up call soon afterwards would go against the Grizzlies, and the Dogs again had a couple great looks but failed to get the puck on net before conceding a shorthanded goal as Lucas Clark made it look way too easy fighting past the last Bulldog back to skate in on a shorthanded breakaway that he just chipped off Schamerhorn's glove and in, short-side to make it 4-2 at 12:03 of the third. No assist was given on the play, but there was certainly one that was missed. A dust-up with just over five minutes left in the third saw Nicholas Rasovic drop the mitts with Tyler Welsh - who appeared to drop a glove or two as well - with Rasovic getting the only fighting major somehow. That would take away any chance at a Bulldog comeback, with the Grizzlies padding their lead twice on the major to complete the scoring. First it was a double cross-crease pass that initially failed to connect before Dayne Finnson found it with Schamerhorn taking contact and being down and out to make 5-2 at 16:31, with Brett Sterling drawing the only assist. Just over half a minute later it was a 6-2 game as Keyvan Mokhtari took a Nico Somerville pass and flew up the right wing where he beat Schamerhorn top corner, short-side high with a beautiful shot to complete the scoring at 17:05 of the third. 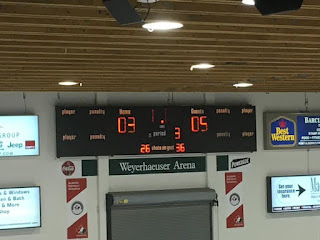 Shots in the third were even at 12-12, for a game total of 36-33 Grizzlies with Tony Rehm picking up the win while Carson Schamerhorn took the loss. The Dogs went 1 for 3 on the power play while the Grizzlies went 2 for 4, scoring twice on the late major. The Dogs are next in action Wednesday when they visit the Capitals in Duncan. It's the conclusion of a four game home stand for the Bulldogs (15-23-6-2, 5th Island) and the final Regular season meeting between the teams, as the Victoria Grizzlies (31-10-3-4, 1st Island) make their second trip this week to the Multiplex. The Bulldogs were in action last night at home, picking up a 5-2 win over the Cowichan Valley Capitals to snap a three game losing streak. The Grizzlies were also in action last night at home, winning their fourth in a row 7-2 over the West Kelowna Warriors. These teams met on Wednesday night, a 5-3 Grizzlies win. 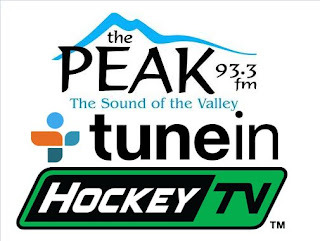 We'll be live on 93.3 The Peak FM from the Multiplex for Van Isle Ford Bulldogs Hockey starting with the pregame show at 6:45, with the game action to follow at 7:00. It's all hands on deck in the broadcast booth - Dan Tisserand compiles team and player stats, Bruce MacDonald provides analysis and colour commentary and I'll call the play-by-play. 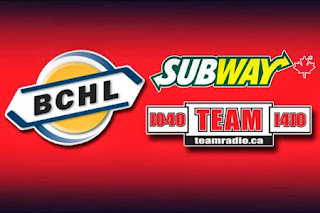 Tonight's 2nd Intermission feature is a segment from the BCHL This Week radio program that aired earlier today on TSN 1040 and TSN 1410 in Vancouver, with host Jeff Patterson speaking with Cowichan Valley Capitals Assistant Rob DeClark, the driving force behind Talk Today. The BCHL is proud to have partnered with the Canadian Mental Health Association’s (CMHA) BC Division and the BC Hockey League (BCHL) for the launch of an initiative called Talk Today. The announcement comes as welcome news to athletes like 16-year-old rising hockey star Myles Mattila. 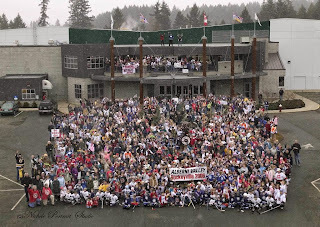 Based in Kelowna, Mattila has been a mental health advocate for several years as a result of the impact of two events: when he didn’t know how to help one of his hockey teammates who was experiencing mental health issues, and the passing of former Vancouver Canucks’ player, Rick Rypien. A solid start to the game for the Bulldogs, as they opened the scoring just 1:33 into the game. Trevor Cosgrove just simply threw the puck on net, where it was deflected at the top of the crease. Jake Witkowski would locate it, and slide it cross-crease for Cayden Kraus, who slammed it into the open side. The pace slowed somewhat through the next 7-10 minutes, but tempers remained high with a series of scrums seeing two players aside sent to the penalty boxes. The Dogs earned a power play on an after the whistle penalty to Jarid Domin soon afterwards, but they weren't able to generate a shot on it. The Dogs would start to push the pace throughout the latter stages of the period, and while they didn't score on it they appeared to gain momentum as after a series of good shifts and it led to a 2-0 lead as Keith Anderson used his size to repeatedly work the cycle down low with Jordan Sandhu before walking out front and throwing a cross-crease pass that was tapped in by Tristan Bukovec just over the goal line, with the Referee in perfect position to emphatically signal goal, at 16:51 of the first. The Dogs were penalized behind the whistle soon afterwards, but would take a 3-0 lead on a crazy sequence in the dying seconds of the period. The Officials would miss a head shot on a puck-less Ryan steele just outside the Bulldogs line that saw him slow to get up and his visor fly off of his helmet. Play would continue, and it worked surprisingly to the Dogs favour, as a shot was blocked and swiped ahead by Henry Marshall to a streaking Cayden Kraus. He would skate in alone, and beat the buzzer - by a hair of a second, and beat Lane Michasiw high blocker side to make it 3-0 at 19:59 of the first. In the subsequent discussion, a Capital would fire Steele's visor across the ice, which brought about a passionate response from the Dogs on the ice. The Caps staff would pick up a bench minor in protest, as the teams headed to the locker rooms. Shots in the period favoured the Dogs 18-8. The second period saw another penalty against the Bulldogs, and the Caps go to a 4 on 3 and then 5 on 4 power play. The Dogs would successfully kill it, with Brody Claeys coming up with a big save soon afterwards on a partial breakaway by Michael Montambault as the Capitals built up an early 10-1 lead in shots in the period. Penalty problems continued for the Dogs, as they went to the box twice in quick succession, putting the Caps on a 5 on 3 for 1:36. They couldn't capitalize on it, with the penalty killers coming up big to support Brody Claeys. The Dogs would build their lead somewhat against the grain, on a nice rush up the left wing by Tristan Bukovec, as he used his speed to drive wide and put a high hard one on net short-side. Michasiw would make the save, but Bukovec would follow his shot to the net, and find the rebound behind it before throwing a perfect pass onto the tape of Keith Anderson in the deep slot where he one-timed it home past the glove of Michasiw to make it 4-0 at 7:10. The middle to late stages of the period were very fun to watch, as the Dogs spent what felt two to three minutes on the attack in the Capitals zone, doing laps around the zone and changing multiple times. 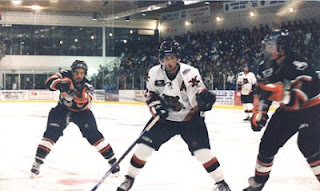 They weren't able to build their lead on it, but connected before the period was out as Jordan Sandhu set up Keith Anderson at the top of the right circle. He would snap a quick shot low and on net where it was stopped, but Cameron Kuhl drove the net and tapped home his first career goal into the open side to make it 5-0 at 18:09 of the second. The Dogs out shot the Capitals 17-15 in the period for a 40 minute advantage of 35-23. The Dogs would be penalized early in the third, and it was one opportunity too many as the Capitals finally made them pay for it as Michael Montambault put a pass from the left wing wall onto the tape of Jarid Domin at the top of the slot where he blew a one-timer long side past the glove of Claeys to make it a 5-1 game at 3:54 of third. Later in the period a long simmering score was settled, as Keith Anderson went after Ayden MacDonald. I thought initially MacDonald dropped his gloves but he actually didn't, and took a series of punches while trying to defend himself. He would get two for roughing, while Anderson picked up two for roughing, two for being the agressor and five for fighting, putting the Capitals to a seven minute power play. The Caps would score early in the advantage, with Rhett Kingston setting up Alec Zawatsky in the slot where he beat Claeys with a quick release, glove side to make it 5-2 at 10:34 of the third. The goal was credited to Max Newton, but it clearly looked like Zawatsky's goal. There would be no scoring the rest of the way, with the Dogs killing off the remaining six plus minutes of the Caps power play. The Dogs did draw a penalty to even things up, but couldn't maintain discipline to not even it up after the whistle. In the end, the killers and Claeys held the fort and the Dogs made the lead stand. Third period shots were 17-5 Cowichan, and 40-37 Bulldogs on the game. Brody Claeys picked up the win in net while Lane Michasiw took the loss. Unofficial power play stats saw the Dogs go 0 for 3 on the power play while the Capitals went 2 for 8. With the win, the Dogs snap a three game losing streak, with the loss the Capitals have now lost six in a row. The Dogs are next in action tomorrow at home when they host the Victoria Grizzlies. It's another edition of the "Battle of the Valleys" at the Multiplex tonight as the Bulldogs (14-23-6-2, 5th Island) host the Cowichan Valley Capitals (20-21-3-2, 3rd Island) to continue a four-game home stand. 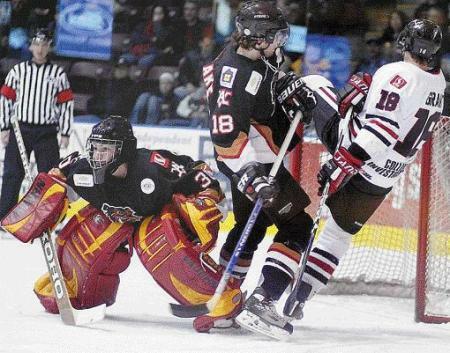 The Bulldogs were in action Wednesday night at home, where they lost their third in a row 5-3 to the Victoria Grizzlies. The Capitals haven't played in a week, last seeing game action Friday night at home where they lost their fifth in a row 4-2 to the Victoria Grizzlies. The last meeting between these clubs head-to-head was January 4th, a 5-1 Bulldog win. Van Isle Ford Bulldogs Hockey on 93.3 The Peak FM is on the air at 6:45 for the pregame show, with the puck drop and play-by-play/colour commentary/analysis to follow at 7:00 with myself and Bruce MacDonald while Dan Tisserand compiles team and player statistics. Tonight's 2nd Intermission guest is former Bulldog Matt Hatch, now with the ECHL's Florida Everblades. 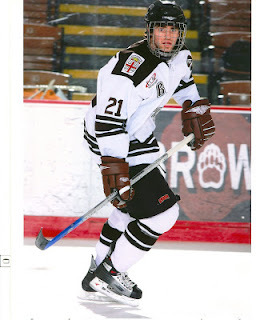 After a memorable 2009-2010 season with the Bulldogs, Matt spent four years at the NCAA level with Union College, and won the National Championship with the Dutchmen in his Senior year. 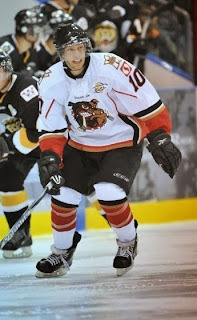 A terrible start for the Bulldogs, as they found themselves in a 1-0 hole before the game was half a minute old as the Grizzlies caught them with speed on transition through the neutral zone as Keyvan Mokhtari drove the net up the middle and snuck a backhand low, short-side under the pad of Brody Claeys. Assists on the play went to Nick Guiney and Justin Michaelian. The Dogs continued to chase the game, and paid for it as the Grizzlies went up 2-0 before the four minute mark as a series of pucks around the net were stopped or blocked before Lucas Clark settled it down in the left face off dot and rang a shot off the post short-side and in past the blocker of Claeys. Nathan Looysen drew the only assist at 3:42 of the first. That would do it for the scoring throughout the period, with the Dogs killing off two penalties and Brody Claeys keeping the Dogs in it despite being under siege for most of the opening 20 minutes, as the Bulldogs were out shot 18-6. Claeys would also stare down Nathan Looysen on a penalty shot in the back half of the period to keep it just 2-0. The Grizzlies continued to push through the first couple of shifts of the second, but the Dogs started to tilt the ice to get back in it. Matt Galajda would made a great save on a wide-open Keaton Mastrodonato in the slot to protect the lead, and then made a 2 on 1 save on Ryan Steele after yet another Bulldog penalty kill kept them in the game. They would get on the board on a goal that closely resembled a rugby scrum, as Jake Witkowski threw a shot on net that was stopped by Galajda. Nicholas Rasovic would have a rebound bid stopped, as the puck sat on the goal line. Trevor Cosgrove would fight enough to get his stick on it to poke it over the line to make it a 2-1 game at 3:57 of the period. The Dogs would get their first power play of the game shortly afterwards, and then went to a 5 on 3 power play for 35 seconds. They would cash in on it the second it was up, as Jake Witkowski put a pass from the left wing wall to the top of the slot for Trevor Cosgrove. He would put a perfect back-door pass onto the tape of Connor Welsh, who scored on a top corner, short-side high one timer to tie it at 2-2 at 9:45 of the second. The Grizzlies would take the lead back less than two minutes later on the rush, on a head-man pass by Tyler Welsh to Cameron Thompson up the left wing. He would gain the line and put a perfect cross-ice pass onto the tape of Carter Berger, who put a beautiful top corner, far-side high shot past the blocker of Claeys for his first career goal and a 3-2 Grizzlies lead at 11:31 of the second. It was the Dogs turn to answer quickly this time, as Nicholas Rasovic took a Jake Witkowski at centre and accelerated over the Grizzlies line up the right wing. He would drive the net, put the puck through a defender's legs and get it back before putting a perfect top corner, short-side backhand home to make it 3-3 at 12:36 of the second. The Dogs couldn't build on the momentum, and gave the Grizzlies the lead back as they coughed the puck up in their zone, as Cole Pickup stole it and centered it out of the right corner. It would miss the intended recipient in the slot, but end up on the stick of Carter Berger who walked in and went top corner again, far-side over the glove of Claeys to make it 4-3 at 15:34 of the period. Shots in the period were 14-8 Bulldogs, for a 26-20 Grizzlies lead after 40 minutes. The third period saw the Grizzlies have the extra jump in their step as the Dogs fought the puck through the first 10 minutes. Brody Claeys would come up with a huge breakaway save with his right pad on a in-alone Nick Guiney near the midway point of the period to keep the Dogs down by just one. The Grizzlies continued to not give the Dogs much through the late stages of the third, with Matt Galajda not tested often but coming up with a big save on Henry Marshall at the side of the net after giving up a rebound on a good set up by Cayden Kraus. The Dogs would pull their goalie for the extra attacker with a draw in the Victoria end with 1:20 to go, and generated one good chance on a pass to the hash marks for a wide open Jordan Sandhu from behind the goal line, but it just bounced off his stick. Keyvan Mokhtari would seal the deal late, stealing the puck from Trevor Cosgrove at centre and hitting the empty cage to make it a 5-3 final. Third period shots favoured the Grizzlies 10-6, for a game total of 36-26 with Brody Claeys taking the loss while Matt Galajda earned the win. The Dogs went 1 for 2 on the power play while the Grizzlies went 0 for 3. The Dogs are next in action Friday at home when they host the Cowichan Valley Capitals. It's the second of a four game home stand for the Bulldogs (14-22-6-2, 5th Island) as they host the Island Division leading Grizzlies (29-10-3-4, 1st Island) tonight at the Multiplex. The Bulldogs were last in action Saturday night at home, where they lost their second in a row, 3-2 in overtime to the Clippers. The Grizzlies haven't played since Friday night, where they won their second in a row 4-2 over the Capitals in Duncan. The last head-to-head meeting between these teams was a wildly entertaining 4-4 tie at the Dog Pound heading into the Christmas break on December 16th. This is a huge game ( they're all huge at this juncture of the season ) as it's one of two games in hand that the Bulldogs have on the Clippers. After squandering a chance to pass or catch them last weekend, and instead seeing the gap widen again, this one seems even bigger tonight. 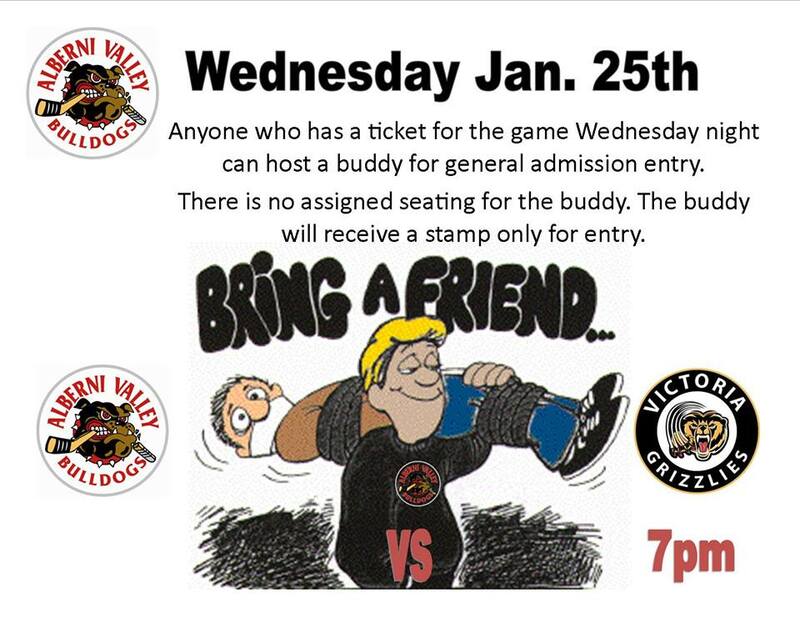 Don't forget if you have a ticket to tonight's game, that you can bring a buddy with you and they'll get in for free! Don't miss any of the action if you can't make it to the rink, thanks to Van Isle Ford Bulldogs Hockey on 93.3 The Peak FM. I'll call the play-by-play while Bruce MacDonald will add the colour commentary and analysis, with the broadcast beginning with the pregame show at 6:45 followed by the game action at 7:00. Dan Tisserand will compile team and player statistics. 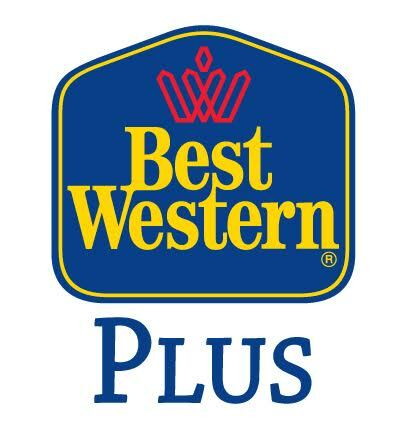 Tonight's 2nd Intermission guest is former Bulldog and Port Alberni Native Devin Timberlake, the Keynote speaker at tomorrow night's PAJHS Fundraising dinner, which is critical to the organization's survival. There are few better examples of what having a team of this caliber in your community can do for your kids - Devin made his local team, excelled, and parlayed that success to an Ivy League education at Brown University. 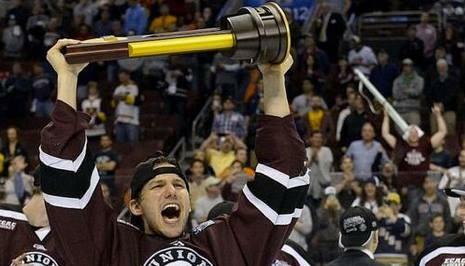 He then played Pro Hockey, rising as high as the AHL before joining the workforce. Thanks as always for checking the blog! Once again a great job by Terry Ketler producing the video! The Dogs once again started well, putting up a 4-0 lead in shots in the first 1:03 of play. They continued to get the puck to the net, and had a fantastic chance somehow stay out on a cross-crease rebound chance for Keith Anderson just three minutes in. The Dogs would draw the first power play of the game short of the midway point of the period and generated a great chance with a gorgeous double rink-wide set up but failed to connect on it at the side of an open net. After a Bulldog penalty evened it up, Brody Claeys was forced to come up with a huge glove save on a Jamie Collins breakaway chance on a steal at the Dogs line. The Clippers would carry some momentum from the power play, with the play being mostly even throughout the remainder of the period. Brody Claeys would come up with one more huge save on a wide-open net chance for Ben Solin on a beautiful back door pass that saw Claeys dive cross-ice to get the paddle of his stick on it it mid-air to keep it out. The Dogs would be penalized late in the period, with the advantage carrying over to the start of the second for the Clippers. Shots were even at 11 aside after one. The Dogs effectively killed the Clipper advantage to start the second, and earned one of their own soon afterwards. They would move the puck around the attacking zone, but didn't do enough to attempt pucks on net. The action turned slightly in the Dogs favour short of the midway point of the period on a good extended attacking zone shift, but they were unable to parlay that into any good scoring chances as the game remained tied at 0-0 through the midway point of the second. It didn't take long for the first goal of the game though, as immediately after the media time out as a Bulldog defender knocked the puck down out of mid air in his zone. It would be found by a streaking Vincent Millette in the slot, who one-timed it far-side past the blocker of Claeys and inside the post to make 1-0 at 11:16 of the second, with assists going to Ben Solin and Jamie Collins. The Dogs received the extra penalty in a dust-up a minute later that saw Darren Rizzollo get whistled for boarding, but no retaliation called on a punch he received. Myles Cunningham would approach the pile at the tenth man in on the fray, and threw two shots to the back of Keith Anderson, that resulted in Anderson turning around and winning a decisive decision in a quick fight, however Cunningham also didn't receive anything extra for the shots on the pile. 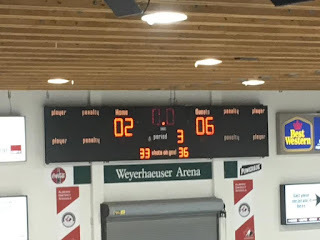 The Bulldogs would come up with a big kill against the momentum to keep it a one-goal game, and another penalty kill a minute afterwards when Brody Claeys was whistled for delay of game for playing the puck over the glass. While on the power play the Clippers thought they had scored, but both Referees immediately waved it off and called the Clippers for Goalie Interference. A subsequent unsportsmanlike conduct penalty saw the Dogs go to a four minute power play. They would tie the game in the first half of the double-minor, when Connor Welsh found the puck behind the Nanaimo net after failing to direct a back-door pass home. He would feed Jordan Sandhu on the right wing wall where he passed to Jake Witkowski at the top of the point. He would fire a high wrist shot past the glove of DeBrouwer through traffic to make it a 1-1 game at 18:31 of the second. The Dogs unfortunately weren't able to capitalize on the second half of the power play, as a slashing call resulted in four-on-four hockey to end the period. The Clippers out shot the Dogs 14-12 in the period, for a 40 minute adantage of 25-23. After the four-on-four concluded, the Dogs killed off a short Nanaimo power play to keep it tied. They would take their first lead of the game just short of for minutes in as Nicholas Rasovic broke up a play at the Dogs blue line and skated in on a breakaway. He was hooked, and a penalty shot was called. He would capitalize on it for his first as a Bulldog, walking into the left side of the slot with speed and then firing a quick release short-side off the post and in past DeBrouwer to make it 2-1 Dogs at 3:52 of the third. The Dogs would earn a lengthy two-man advantage minutes later, with a second penalty going to Sean Buchanan for a nasty hit from behind on Henry Marshall coming with the Dogs already on the power play. The Dogs would come close, with Connor Welsh ringing a shot off the post, short-side on DeBrouwer. Another post short-side was hit by Alex MacDonald soon afterwards after the Clippers had hit the post at the other end. The Dogs looked to have a 3-1 lead with less than five minutes to play, as Nicholas Rasovic walked down the right wing and put a puck on net low, far-side that saw DeBrouwer kick a rebound on right onto the tape of Cayden Kraus, who missed a wide open 6 by 4 with a one-timer that missed the post long side. That would prove huge as the Clippers got the equalizer with just over two minutes to play as Jake Harris made a great play to knock down an aerial pass at the attacking line. He then flew up the left wing over the Bulldogs line, and got a lucky break as a diving defender attempted to sweep the puck loose with a poke-check, but instead deflected it perfectly top corner short-side high under the crossbar on Claeys to make it 2-2 at 17:40 of the third, with Marcus Joseph drawing the only assist as the game went to overtime. Third period shots favoured the Clippers 17-15, for a 60 minute advantage of 42-38 Clippers. The Bulldogs didn't touch the puck for more than a few fleeting moments in overtime, and the Clippers didn't take long to win it as Jamie Collins stole the puck at the Bulldog line and raced into the slot up the right wing and put a shot on net that was stopped by a Bulldog defender, but found first by Collins who one-timed the loose puck through the legs of Claeys for the game winner and the 3-2 final. Final shots favoured Nanaimo 43-38 with Evan DeBouwer picking up third star honours with the win while Brody Claeys earned 1st star honours while taking the loss. The Dogs went 1 for 6 on the power play while the Dogs went 0 for 6. 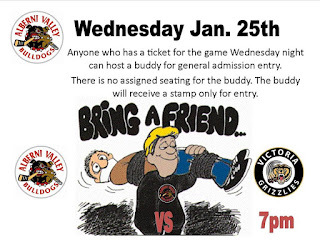 The Dogs are next in action Wednesday night when they host the Victoria Grizzlies as they continue a four game home stand. It's the second meeting against these bitter rivals in as many days as the Bulldogs (14-22-5-2, 4th Island) host the Nanaimo Clippers (16-23-5-1, 5th Island) for the back half of this home and home set. It's the first game on home ice for the Bulldogs since January 7th, as they are coming off five straight road games. Tonight's game marks the beginning of a four game home stand for the Dogs. These teams of course met last night in Nanaimo, with the Clippers picking up a 3-0 win to snap a three game losing streak and once again open up a three point lead on the Bulldogs for fourth place in the Island Division standings. Full credit to the Clippers for the win, and at the same time the Bulldogs didn't show the jam needed for a game of that magnitude, beyond the first 5-6 minutes of the first. The Dogs looked great early and had a major jump to their step, but all the necessary facets required for winning a game were lacking for the most part the rest of the way. The best thing is that last night is just that, last night, and the Bulldogs need to answer back tonight on home ice. You can bet that the Clippers will be feeling confident after a solid win last night so the Dogs had better bring their A game. The full 93.3 The Peak FM broadcast crew will again be on hand tonight - Bruce MacDonald will provide the colour commentary and analysis, Dan Tisserand will compile team and player statistics and I'll handle the hosting duties and call the play-by-play. 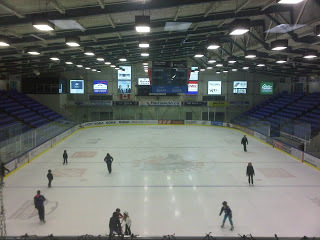 Van Isle Ford Bulldogs Hockey is on the air at 6:45 for the pregame show, with the puck drop to follow at 7:00pm. 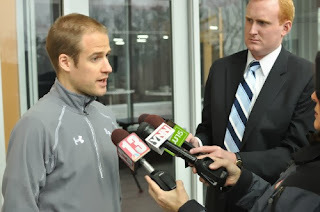 Tonight's 2nd Intermission guest is former Bulldog Head Coach Nolan Graham (2009-2010) who is now an Assistant Coach with the NCAA's RPI Engineers. Nolan is a great story, and a great example of what this league is all about. 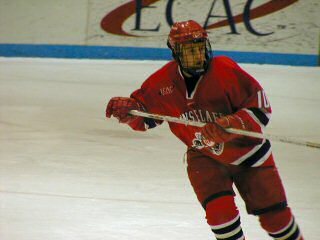 He played in the BCHL, he played in the NCAA with RPI before moving on to Pro Hockey. He then came back to the BCHL as a Coach, and now he's back with his former team as a Coach. A good start for the Bulldogs, as they got two pucks on net and forced an icing within the first 30 seconds of the game. The Dogs kept up the pace, and had a couple of opportunities out of it due to some extended zone time. A long delay would come about near the midway point of the period after a large scale dust-up at the Nanaimo net, with the Dogs picking up the extra penalty out of it that they would successfully kill off to keep the game scoreless. Despite a small edge in the play, the Dogs couldn't earn a penalty call as a second consecutive opportunity went to the Clippers with just under five minutes to play in the first. The Dogs would once again kill it, with Brody Claeys coming up with a desperation diving save at the side of the net on Matt Creamer after he misplayed the puck behind his net and had to hustle to get back into position. The Bulldogs would earn a power play with just over two minutes to go in the frame, but couldn't capitalize on it as it was scoreless after the first period, with shots favouring Nanaimo 10-9. The second period began with a good initial shift by the Bulldogs, but the pace then slowed over couple of minutes. 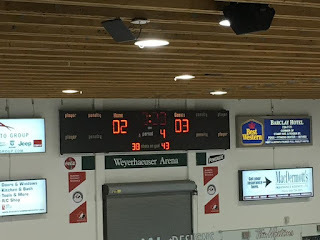 The Clippers would take a 1-0 lead soon afterwards on the rush as a Defender stepped up at the line and missed, and allowed David Silye to walk into the deep slot where he beat Brody Claeys with a five-hole change up to make it 1-0, un-assisted at 2:50 of the second. It was 2-0 just two minutes and change later, on a quick spin and fire off the left half-wall by Jamie Collins that appeared to surprise Claeys as it found it's way home short-side. The only assist on the play went to Tristan Crozier at 4:56 of the second. As the period wore on, the Dogs failed to generate much in the way of scoring chances. On the instances where they did have attacking zone time, they moved the puck well on the cycle, but weren't able to get it to the net. Late in the frame Brody Claeys would make a big save on a long Clipper 2 on 1, as he squeezed his blocker arm on a Ben Taylor shot from the right circle with just over a minute to play to keep it a two-goal deficit. 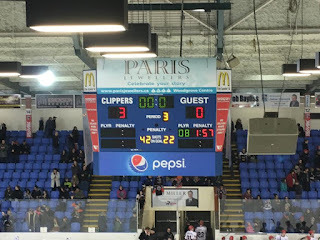 The Clippers would earn a power play almost immediately afterwards, with Claeys again making a series of good saves around his net to keep it close. Shots in the period favoured Nanaimo 22-6 for a 40 minute advantage of 32-15. The Clippers would build their lead to 3-0 inside of 30 seconds into the third period on the power play as a pretty set up saw Marcus Joseph keep the puck in at the line and find Matt Creamer in the right circle. He would put a perfect pass through the seam to the back door to Sean Buchanan who put a perfect top corner, short-side high shot. Creamer would draw the only assist on it at 25 seconds of the third. Soon afterwards a large skirmish erupted after a nasty hit from behind by Vincent Millette on Cameron Kuhl. Somehow, Millette only received a boarding penalty, but as equally surprisingly he picked up a fighting major despite not even getting his gloves off and taking a good number of punches from Nicholas Rasovic who stepped up in exception of the hit. Throughout the period, the Dogs failed to impress for anything more than a fleeting moment, as the Clippers made the lead stand. The closest the Dogs came to breaking the shut out was with just over two minutes to play when Cayden Kraus was stopped by the right pad of DeBrouwer on a shorthanded breakaway. Third period shots favoured the Clippers 10-7 for a game total of 42-22 Clippers. Evan DeBrouwer earned 1st star honours with the win and the shut out while Brody Claeys took the loss. The Dogs went 0 for 1 on the power play while the Clippers went 1 for 5. With the win the Clippers snap a three game losing streak, and once again increase their lead on the Bulldogs to three points. The teams meet again tomorrow at the Dog Pound. It's the start of a huge home and home set, as the Bulldogs (14-21-5-2, 5th Island) visit the Clippers (15-23-5-1, 4th Island) at the Frank Crane Arena tonight. 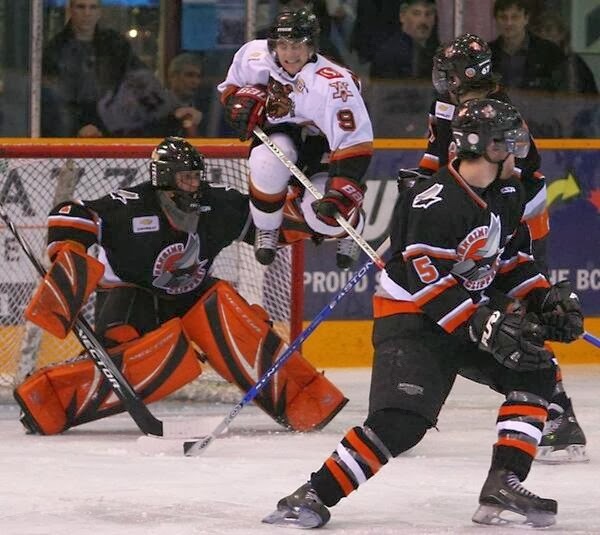 The Bulldogs last played Sunday afternoon in Merritt, where they ended a three-in-three weekend with a 5-4 overtime win over the Centennials. 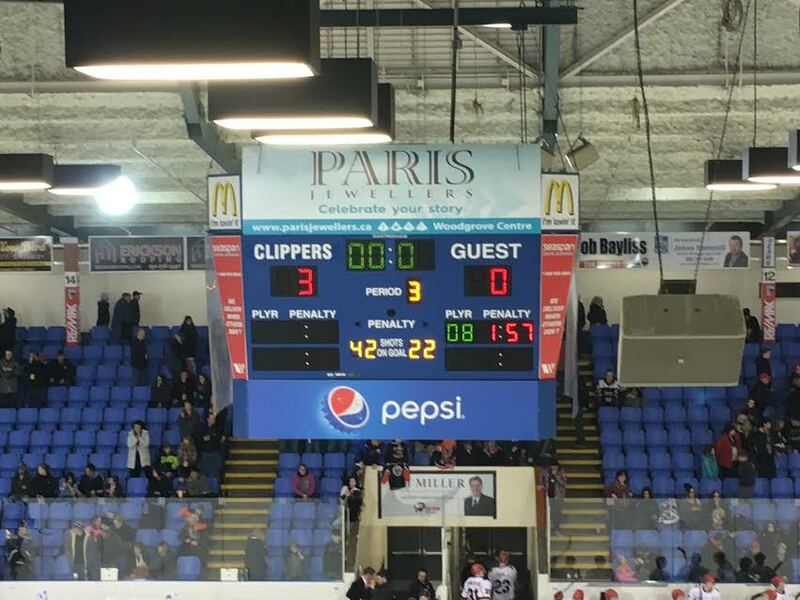 The Clippers haven't played since last Friday, where they lost their third in a row, 8-0 to the Powell River Kings on home ice. These teams last let November 30th in Nanaimo, a 2-1 Bulldog win in overtime. The Bulldogs have won the last two head-to-head meetings, both in overtime. They lead the season series 3-1-0-0 good for six points, while the Clippers are 1-1-2-0, good for four points. It goes without saying that this is a critical two games. A sweep either way would be both uplifting and spirit sapping for each time on either side of it. A split, and nothing changes either way. It's of critical importance with the magnitude of the games that emotions are kept in check, as you can bet there might be peaks and valleys both ways, and tempers will no doubt at times be high so discipline is also going to be a critical facet of the games. Not that it always isn't, but one thinks when two rivals meet for back to back games that it might be even more important. 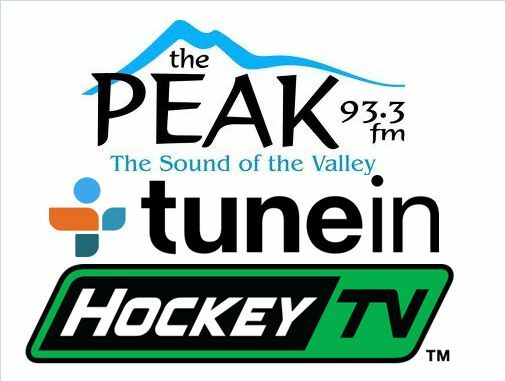 If you can't make it down to Nanaimo, we'll bring it to you, on 93.3 The Peak FM's Bulldogs Hockey Broadcasts brought to you by Pacific Chevrolet. The pregame show is on the air at 6:45, with the puck drop and game action to follow at 7:00. Dan Tisserand will compile team and player stats, Bruce MacDonald provides colour commentary and analysis and I call the play-by-play. Tonight's 2nd Intermission guest is former Bulldog Harry Zolnierczyk (2005-2007), who's currently playing with the Nashville Predators, and scored his first point as a Pred last week. This, in a nutshell is what Harry was all about in a Bulldog uniform! A gorgeous goal by Trevor Cosgrove, set up by some hustle by everyone on the ice. Here's a look at Jake Witkowski's overtime winner to complete the hat trick last night in Merritt. A thing of beauty! Just a note of thanks for those that support the blog and go out of their way to make a donation. Financial gain is the last reason why I do this - but it's certainly appreciated and makes it feel more "worth it" sometimes when it feels like all I do it sit on this computer and work my way farther to carpal tunnel syndrome, HA. Getting back into town last night and to my bed at around 2:30am, and waking up (somehow?) to get to the radio station and on air today for 6:00am, I can't say how much of a pick-me-up it was to receive an email from a player's family thanking me for my efforts. It's certainly not expected, but very much appreciated, thanks thanks thanks! The Bulldogs announced their first recruit for last season yesterday night - welcome to the community and the team Luke! 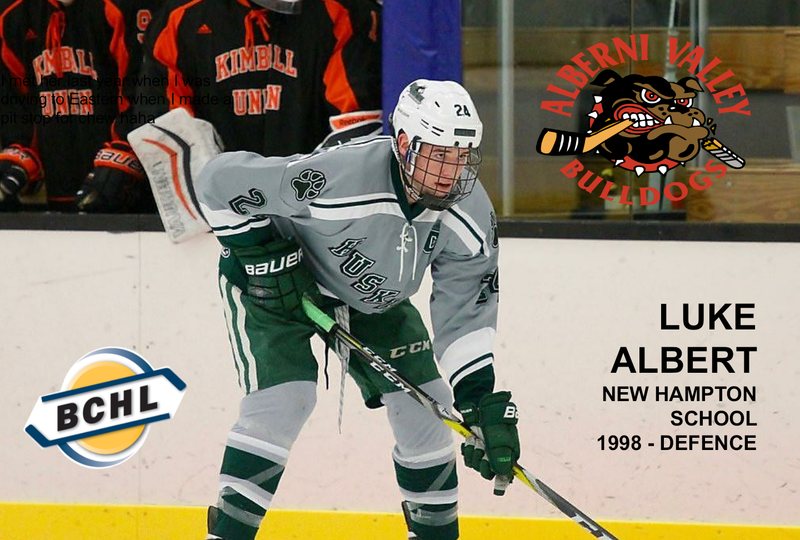 Port Alberni, BC – The Alberni Valley Bulldogs are please to announce the playing commitment of Luke Albert (Fergus, ON) for the 2017-18 season. Albert, a 6’2, 190lb, defenseman, is currently playing for the New Hampton School prep hockey program, which is located in New Hampshire of the United States of America. During the 2015-16 season, Albert scored 31 points (5 Goals and 26 Assists) as a junior for the Huskies. He was named team captain for his 2016-17 senior season and has registered 10 points (4 Goals and 6 Assists) in 11 Games. Bulldog fans can expect Albert to be a strong skating defender who makes a good first pass and plays a steady game in all three zones. 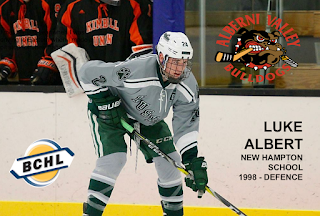 Albert will be making the transition from prep school to junior hockey and feels that the BCHL and the Bulldogs are the right fit for him and his family. The Bulldogs will be looking for many other prospects and future players at our Spring Identification Camps, which will be held April 7-9th in Port Alberni and May 5-7th in Osoyoos, BC. For further information or to register online visit www.albernivalleybulldogs.ca/camps.